The essence of all pastoral work is to relate to each other as Christ did, to seek together the way in faith, and to find answers to life questions together. 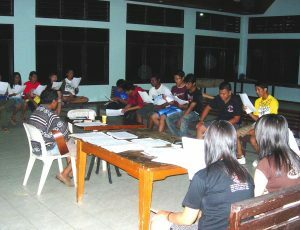 The brothers are working in various forms of apostolic activities. In November 2009, a group of parishioners in São Joaquim de Bicas began to visit prisoners every week. It was for the first time since the opening of the “Professor Jason Soares Albergaria Prison” that the Catholic Church officially was present in this prison. 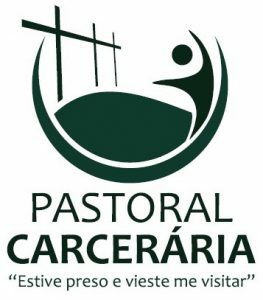 Over the years, the prison work has developed promisingly, especially after the creation of a special service center called the ‘Apoio à Pastoral Carcerária‘ (APC). The main purpose of the prison apostolate is to visit the people, and to get to know them in their depression and in their urgent needs such as hygiene. “Working in prison is a challenge with few successes and sometimes lasting disappointments. The pastoral workers in the prisons are strongly influenced by their contacts because they enter the world of suffering of others. Often they become emotionally involved with the prisoners. They experience on a deeper level the meaning of the gospel: “I was in prison and you visited me” (Matthew 25). Who is most enriched by this work: the prisoner or the pastoral worker?“- Brother Henrique Cristiano José Matos, Brazil, founder of APC. Brother Linus Schoutsen has been working in the prison apostolate since 1998. Currently he is the coordinator of the Father Grol’s Welfare Trust. This foundation works with the Kenya Prison Service organization. 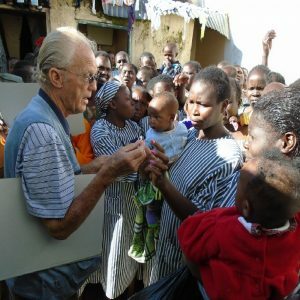 Brother Linus, a missionary with Dutch roots, is a fervent advocate of the rights of prisoners. His team mobilizes funds and resources that enable them to provide education to a number of prisoners, but they also provide recreational provisions, books, magazines, glasses, volleyball, football, tools, clothing, shoes, medicine, and guidance. These facilities brought a different atmosphere to some Kenyan prisons. The ideal is that all prisons receive a learning program. To achieve this, the foundation launched a program for adult education in Kenyan prisons in 2000. “The prisoners have made me a better religious brother. Some prisoners encourage others not to lose hope, and show mercy to their fellow prisoners, such as those who have psychological problems. When I look at myself, they really challenge me to being a good Christian”- Brother Linus Schoutsen, Kenya. Voluntary work is an important part of the mission. It has a very long tradition within our congregation. In other words, doing voluntary work is essential in our mission of mercy. A lot of voluntary work takes place within the context of the parish. These include the counselling of altar boys and girls, conducting choirs or being a member of a parish choir, preparing for first communion and confirmation, leading prayer groups, bringing communion to the sick and providing assistance during celebrations. Brothers in different countries are actively involved in the movement of Ambassadors of a Worldwide Brotherhood, a form of youth apostolate. 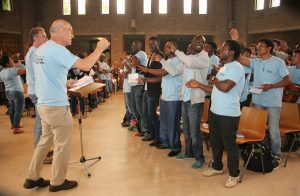 Given the importance of this project and its international character, the youth work of the brothers has a separate page on this website.